The French army declares a victory in their lost province of Alsace. Margaret Macmillan chronicles the events leading up to the First World War. Each episode draws together newspaper accounts, diplomatic correspondence and private journals from the same day exactly one hundred years ago, giving a picture of the world in 1914 as it was experienced at the time. The series tracks the development of the European crisis day by day, from the assassination of Archduke Franz Ferdinand through to the first week of the conflict. As well as the war, it gives an insight into the wider context of the world in 1914 including the threat of civil war in Ireland, the sensational trial of Madame Caillaux in France and the suffragettes' increasingly violent campaign for votes for women. Margaret Macmillan is Professor of International History at Oxford University. Readings: Andrew Byron, Stephen Greif, Felix von Manteuffel, Jaime Stewart, Simon Tcherniak Jane Whittenshaw Sound Design: Eloise Whitmore Producer: Russell Finch A Somethin' Else production for BBC Radio. British Trade Unions announce they will not oppose the war. 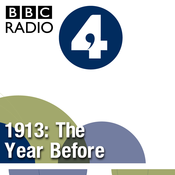 Margaret Macmillan chronicles the events leading up to the First World War. Each episode draws together newspaper accounts, diplomatic correspondence and private journals from the same day exactly one hundred years ago, giving a picture of the world in 1914 as it was experienced at the time. The series tracks the development of the European crisis day by day, from the assassination of Archduke Franz Ferdinand through to the first week of the conflict. As well as the war, it gives an insight into the wider context of the world in 1914 including the threat of civil war in Ireland, the sensational trial of Madame Caillaux in France and the suffragettes' increasingly violent campaign for votes for women. Margaret Macmillan is Professor of International History at Oxford University. Readings: Andrew Byron, Stephen Greif, Felix von Manteuffel, Jaime Stewart, Simon Tcherniak Jane Whittenshaw Sound Design: Eloise Whitmore Producer: Russell Finch A Somethin' Else production for BBC Radio 4. German Zeppelins bomb the Belgian city of Liege - the first air attack on a European city. Margaret Macmillan chronicles the events leading up to the First World War. Each episode draws together newspaper accounts, diplomatic correspondence and private journals from the same day exactly one hundred years ago, giving a picture of the world in 1914 as it was experienced at the time. 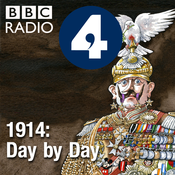 The series tracks the development of the European crisis day by day, from the assassination of Archduke Franz Ferdinand through to the first week of the conflict. As well as the war, it gives an insight into the wider context of the world in 1914 including the threat of civil war in Ireland, the sensational trial of Madame Caillaux in France and the suffragettes' increasingly violent campaign for votes for women. Margaret Macmillan is Professor of International History at Oxford University. Readings: Andrew Byron, Stephen Greif, Felix von Manteuffel, Jaime Stewart, Simon Tcherniak Jane Whittenshaw Sound Design: Eloise Whitmore Producer: Russell Finch A Somethin' Else production for BBC Radio 4. Advertisements in British newspapers urge the public to enlist in the army. Margaret Macmillan chronicles the events leading up to the First World War. 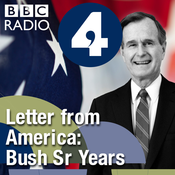 Each episode draws together newspaper accounts, diplomatic correspondence and private journals from the same day exactly one hundred years ago, giving a picture of the world in 1914 as it was experienced at the time. The series tracks the development of the European crisis day by day, from the assassination of Archduke Franz Ferdinand through to the first week of the conflict. As well as the war, it gives an insight into the wider context of the world in 1914 including the threat of civil war in Ireland, the sensational trial of Madame Caillaux in France and the suffragettes' increasingly violent campaign for votes for women. Margaret Macmillan is Professor of International History at Oxford University. Readings: Andrew Byron, Stephen Greif, Felix von Manteuffel, Jaime Stewart, Simon Tcherniak Jane Whittenshaw Sound Design: Eloise Whitmore Producer: Russell Finch A Somethin' Else production for BBC Radio 4. Britain declares war on Germany. Margaret Macmillan chronicles the events leading up to the First World War. Each episode draws together newspaper accounts, diplomatic correspondence and private journals from the same day exactly one hundred years ago, giving a picture of the world in 1914 as it was experienced at the time. The series tracks the development of the European crisis day by day, from the assassination of Archduke Franz Ferdinand through to the first week of the conflict. As well as the war, it gives an insight into the wider context of the world in 1914 including the threat of civil war in Ireland, the sensational trial of Madame Caillaux in France and the suffragettes' increasingly violent campaign for votes for women. Margaret Macmillan is Professor of International History at Oxford University. Readings: Andrew Byron, Stephen Greif, Felix von Manteuffel, Jaime Stewart, Simon Tcherniak Jane Whittenshaw Sound Design: Eloise Whitmore Producer: Russell Finch A Somethin' Else production for BBC Radio 4.